Next year’s 58th Annual Banquet will be on February 20, 2020! Hope to see you there! 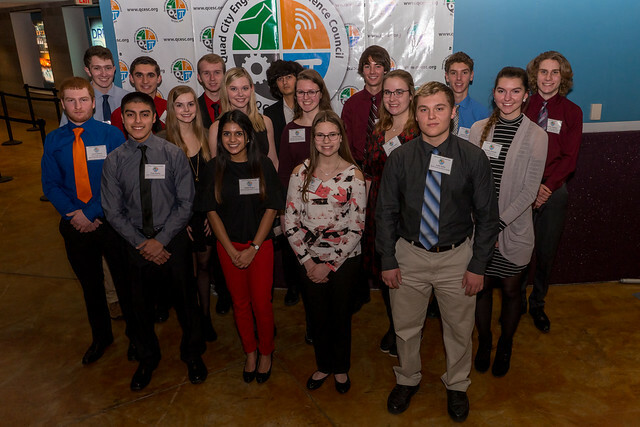 Everyone, including students, are cordially invited to attend this annual premier, inspiring event at John Deere’s World Headquarters to celebrate, network and showcase the great Science, Technology, Engineering, and Math (STEM) Professionals and Educators in the Quad Cities region. The event is being held during Engineer Week (E-week). 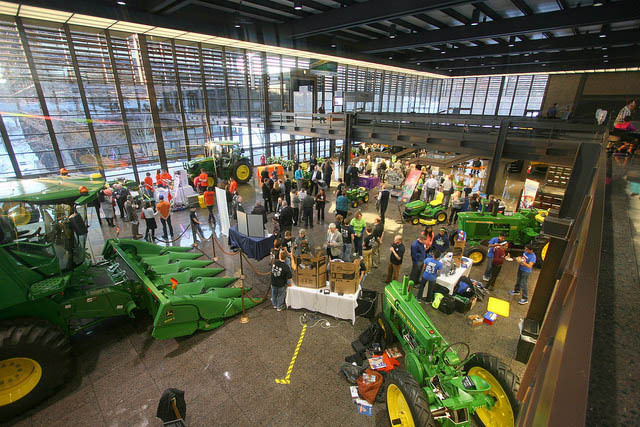 The event will include networking with a social on the John Deere Display Floor with STEM displays by students, technical societies and education institutions. 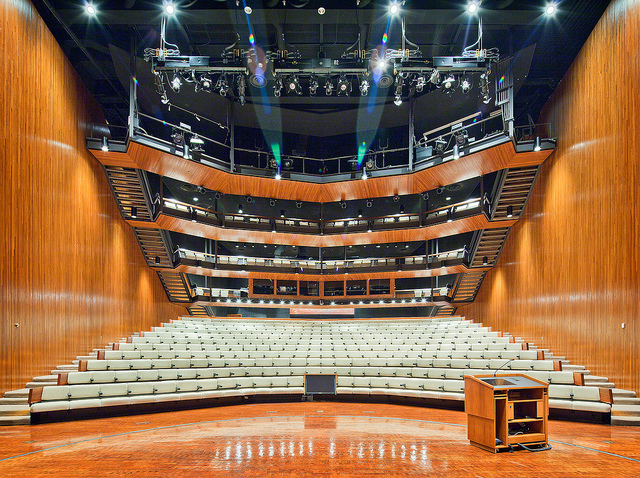 The program in the John Deere Auditorium will include awarding of STEM scholarships to the top local high school seniors along with STEM awards for Engineer, Scientist, STEM Teacher and STEM Volunteer of the Year. The keynote presentation will be on the new $1.2 billion, I-74 Bridge which is one of the largest and most complicated active public projects in the U.S. and in Quad Cities history. The I-74 Mississippi River Bridge project is part of a regional strategy to improve the I-74 corridor and access across the Mississippi River in the Quad Cities. The work supports a vital east-west link in the nation’s transportation network. The $1.2 billion project is one of the largest and most complicated active public projects in the U.S. The new bridge will be more than twice as wide as the existing bridge and includes a multiuse path connecting to existing paths on both sides of the river. Construction began in July 2017 and is anticipated to be completed in 2021. 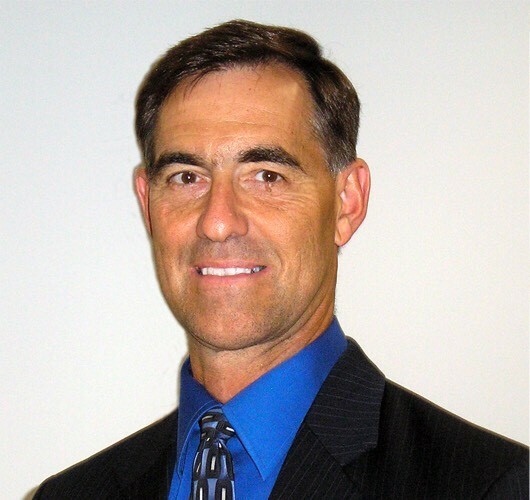 George Ryan is the I-74 Corridor Manager and Vice President, Wood Environment and Infrastructure Solutions. 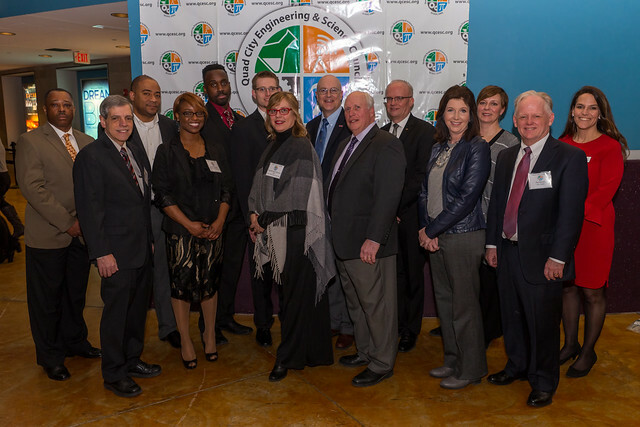 Prior to joining Wood Environment and Infrastructure Solutions, he performed multiple roles for the Illinois Department of Transportation during a 34-year career. Mr. Ryan has a Bachelor’s Degree in Civil Engineering from Bradley University. 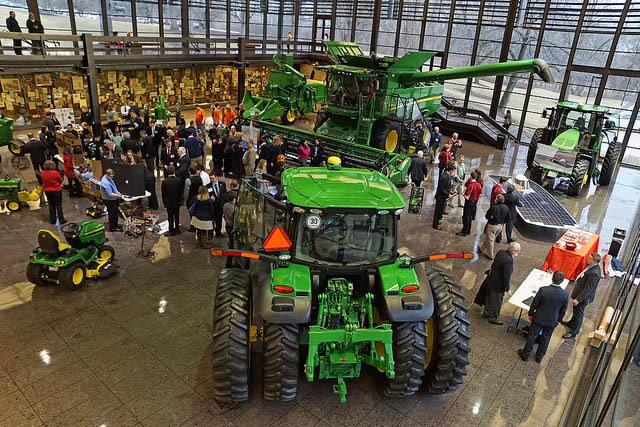 OPTIONAL 4:15-5:00 – Tour of John Deere Headquarters – gather on the walkway heading into the Security Vestibule (need to indicate with registration). During the social, STEM displays by students, technical societies and educational institutions will be available. As they sign-up, we will add their names below. Organizations or individuals wishing to have a display during the social hour need to fill out this form and submit. With the social scheduled from 5:00 – 6:30 PM, you need to be setup no later than 4:45 PM. Any further questions on displays should be sent to Sankari Kandasamy, QCESC STEM Coordinator via e-mail at sankarikandy@gmail.com.